Susan Rice’s son John David Rice-Cameron is pressing “full charges” against Stanford University student Melinda Hernandez for physical assault. The Stanford College Republicans held a “Change My Mind” table with signs supporting Supreme Court Justice Brett Kavanaugh. The District Attorney’s Office is looking into the incident for further review, though there were no reported injuries to all parties involved. A pro-Trump College Republicans president is pressing “full charges” against a Stanford University student for allegedly assaulting him at an event Tuesday supporting Supreme Court Justice Brett Kavanaugh’s confirmation. John David Rice-Cameron, the son of Obama-era national security adviser Susan Rice, claims that sophomore Melinda Hernandez physically assaulted him. “She got in my face and proceeded to hit me in the chest area and push me back forcefully,” Rice-Cameron said, The Stanford Daily reported Wednesday. Hernandez was placed under a private person arrest and issued a battery citation, Stanford Department of Public Safety spokesperson Bill Larson said, according to The Stanford Daily. The District Attorney’s Office is looking into the incident for further review, though there were no reported injuries to all parties involved. Hernandez said she touched Rice-Cameron on the chest when he would not stop filming the encounter without her consent. “Those who know my character, from a distance or up close, know my fight in social justice lies in peace,” Hernandez wrote in a Facebook post, according to The Stanford Daily. “She kept getting in his face, louder and louder — she walked straight towards him and invaded his personal space and definitely put her hands on him,” the unnamed person told The Stanford Daily. The Stanford College Republicans issued a Facebook statement Wednesday about the harassment they claimed to have faced at their “Change My Mind” event, along with video footage showing students attempting to take signs off the table. “Leftists vandalized and destroyed our signs, threw paint and water at our members, and hurled insults and profanities for hours,” the post said. “Change My Mind” events are part of a series by political commentator Steven Crowder. A table in the series displays a hot-button statement and those who disagree must attempt to change the mind of the host through dialogue. The event was held in a free speech area of campus, according to The Stanford Daily. The students could record video in the public space, according to Jim Wheaton, senior counsel at the First Amendment Project. Audio, however, had more restrictions under California law. “Recording a conversation — even [one] in a public space — is a violation of law in California,” Wheaton said to The Stanford Daily. California’s policy requires all parties must provide consent to be recorded, according to the Digital Media Law Project (DMLP). 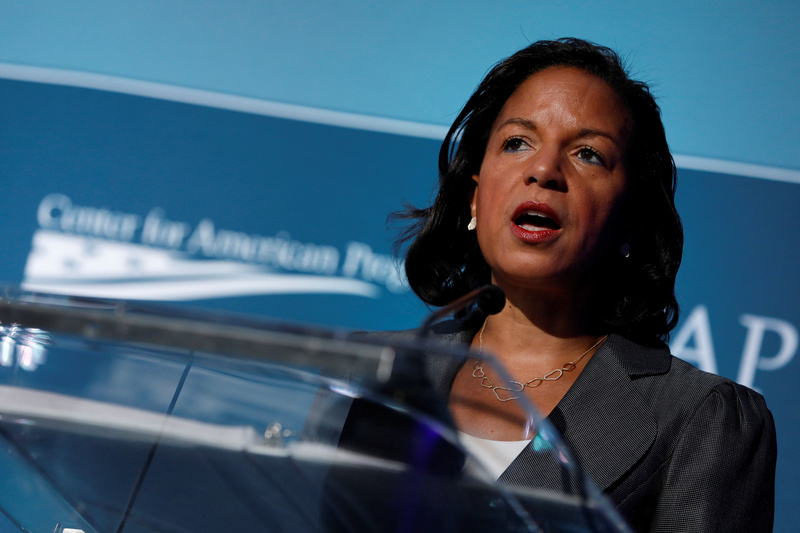 Rice-Cameron has been an outspoken supporter of President Donald Trump, according to Stanford Politics, despite his mother’s political affiliation with the Democratic Party. His first event as SCR’s president was called “Make Stanford Great Again!” which featured Turning Point USA’s president Charlie Kirk and communications director Candace Owens on May 29. Stanford and SCR did not immediately respond to The Daily Caller News Foundation’s request for comment. Rice-Cameron and Hernandez were contacted via Facebook messenger and through email, but did not respond at time of publication.